@NW10KTRA Hi, over 2,000 residents were invited (including those on Wakeman Road) to attend a drop-in session which was held on 28 July at St Martin's Church. 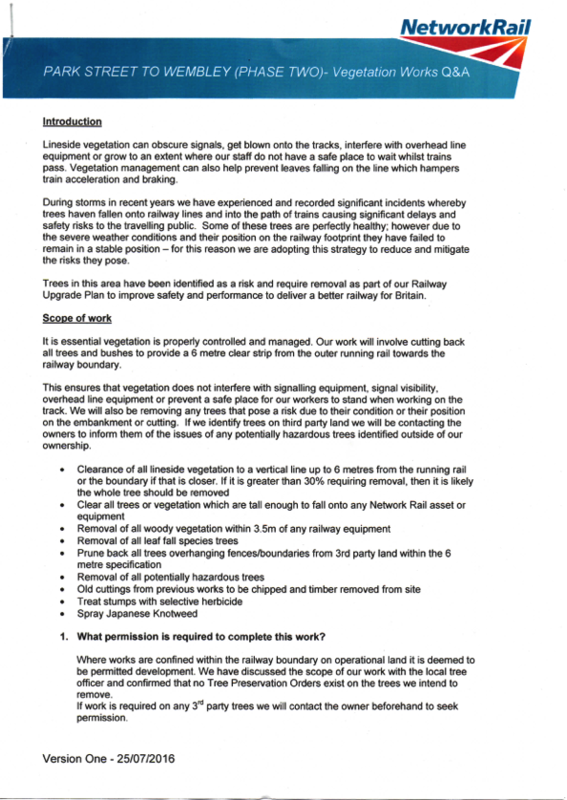 Much of the work in this 3 mile area involves removing Buddleia from retaining walls but staff will also be creating a clear 6m strip next to the running rails and removing problematic leaf fall species in order to maintain and operate a safe railway. Vegetation which is outside of this 6m area, not leaf fall species or tall enough to fall onto key parts of the infrastructure will remain. Compressed by passing trains, leaves create a thin Teflon-like layer on the rails. Poor rail adhesion means train drivers have to brake earlier when approaching stations and signals to avoid overshooting and accelerate more gently to avoid wheel spin. Leaf mulch can also insulate trains from the rails with the result that the signalling system, which uses electric currents in the track to locate trains, becomes less accurate. 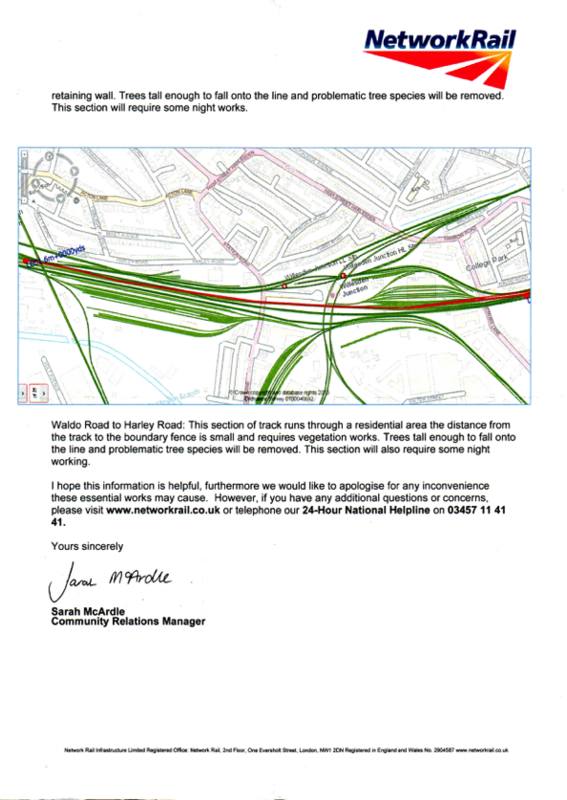 For context, there is 15-10 metres between the running rail and boundary along most of Wakeman Road which is in close proximity to a station and one of the busiest junctions on the network. Please fill in this form http://bit.ly/1QB98aO if you require further information. KTRA have contacted Network Rail to get a meeting with their Arbarologist. 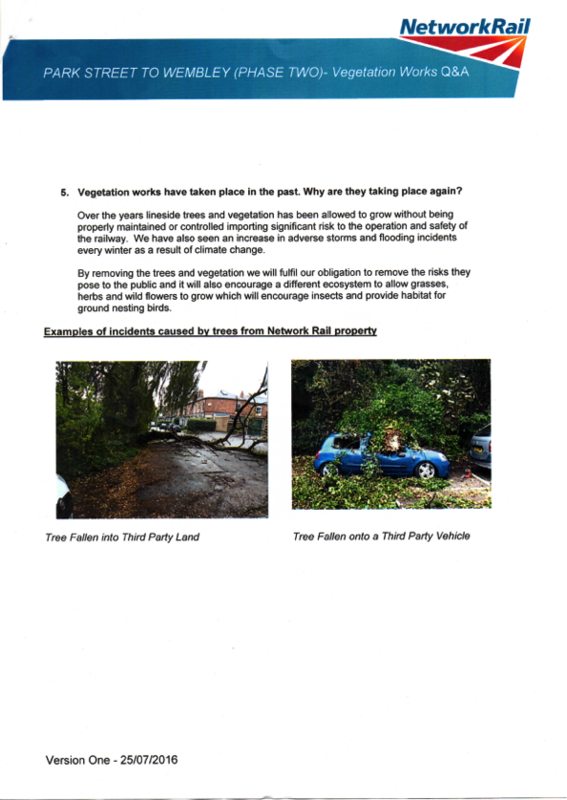 Residents on Wakeman Road have just found out about Network Rail's Proposed Deforestation i.e. chopping down of trees and bushes behind their gardens. 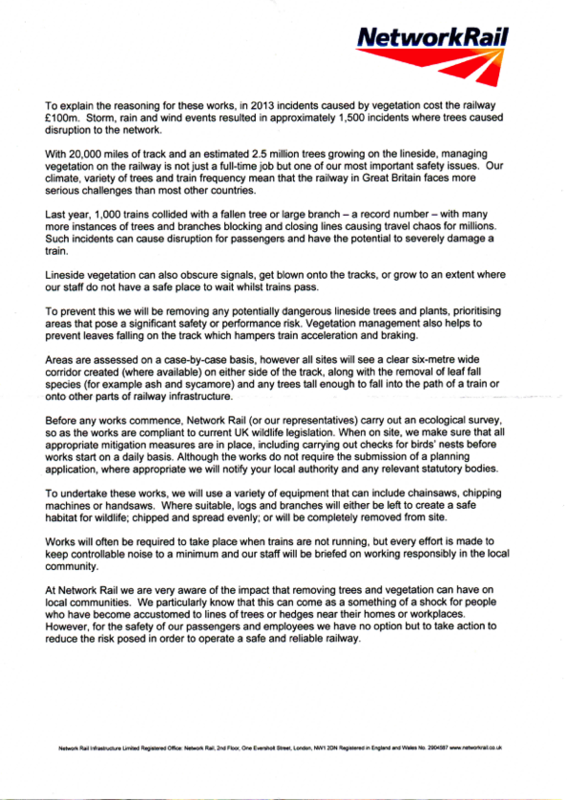 Last week we, as residents backing on to the London Euston line near Kensal Green, were sent the letter below (attached PDF) inviting us to a "consultation" on 28th July regarding the project. 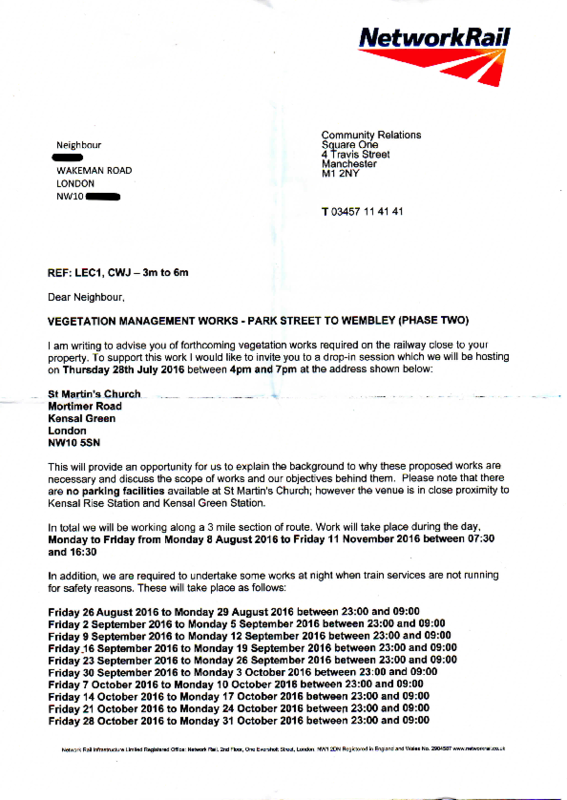 As you can see from the letter the work is scheduled to begin on the 8th August, only a week away. 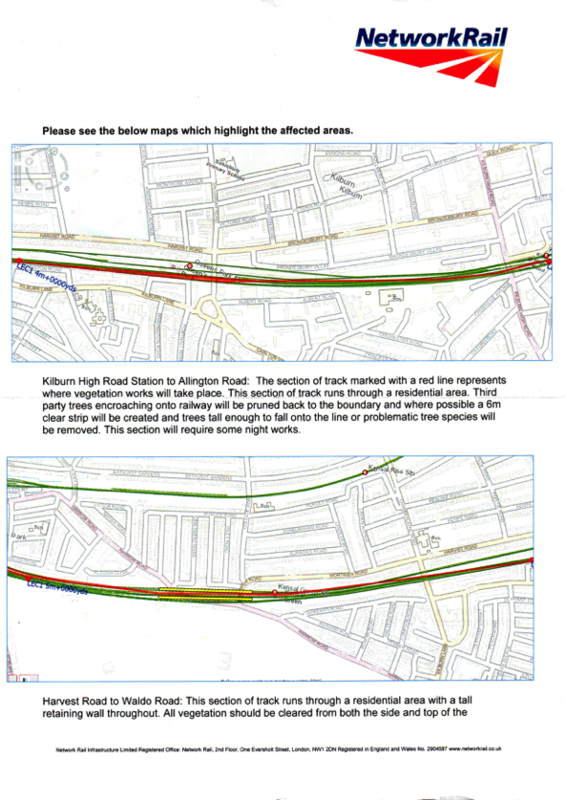 The basic plan is to remove all trees less than 6M from the track, but sycamore and ash will be removed entirely because they cause "leaves on the line". 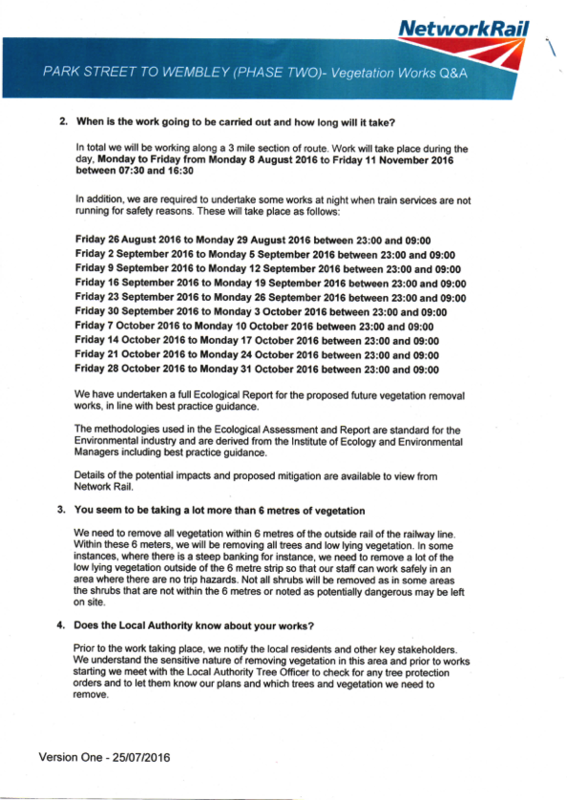 1) This was not a consultation, we were TOLD what they were going to do. 2) The consultation was scheduled when hardly any of the affected residents are around, they are on holiday. 3) Nearly all the trees are sycamore so they will be completely removed leaving nothing. 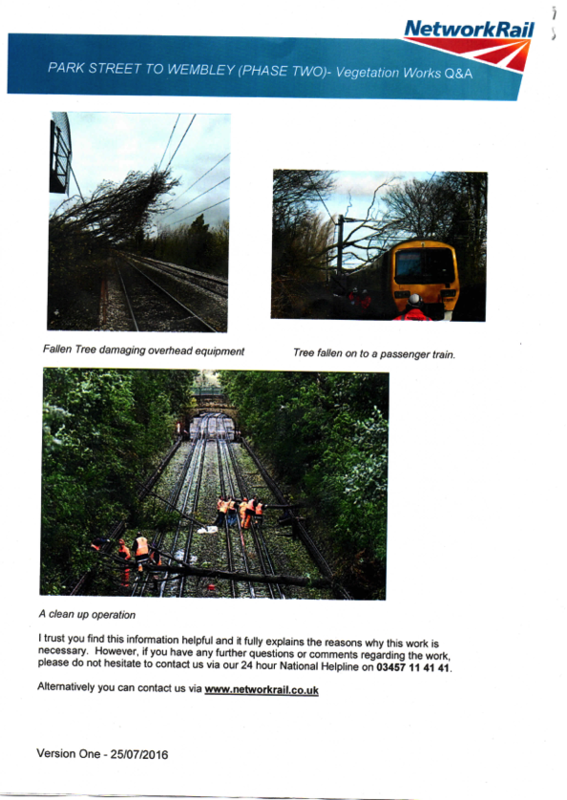 4) The trees have provided natural cover that is an effective screen from the view of the track and significantly reduces noise from the trains. 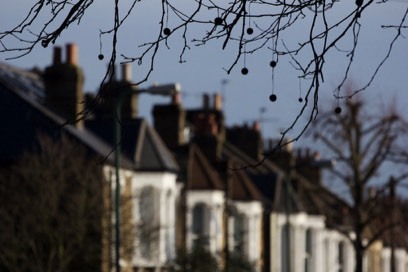 5) This is a purely cost-cutting exercise - it's cheaper to hack them down than to prune them. 6) There are no plans to replace them with suitable trees, or to provide soundproof fencing to reduce noise. 8) Most of the trees we would like to keep are much less than 6M from the track, they are taken because they are sycamore. The staff were less than helpful, not knowing how to respond to people who disagreed with their project. As usual we have been railroaded (ha! - see what I did there! ); this was a PR exercise ticking some invisible project planner's box on his to-do list. Whilst I agree that safety on the track is very important, this is to enable Network Rail to hit targets for punctuality of trains, for which they get fined if they miss them, and they have chosen the cheapest method possible, and tried to sneak it past us. 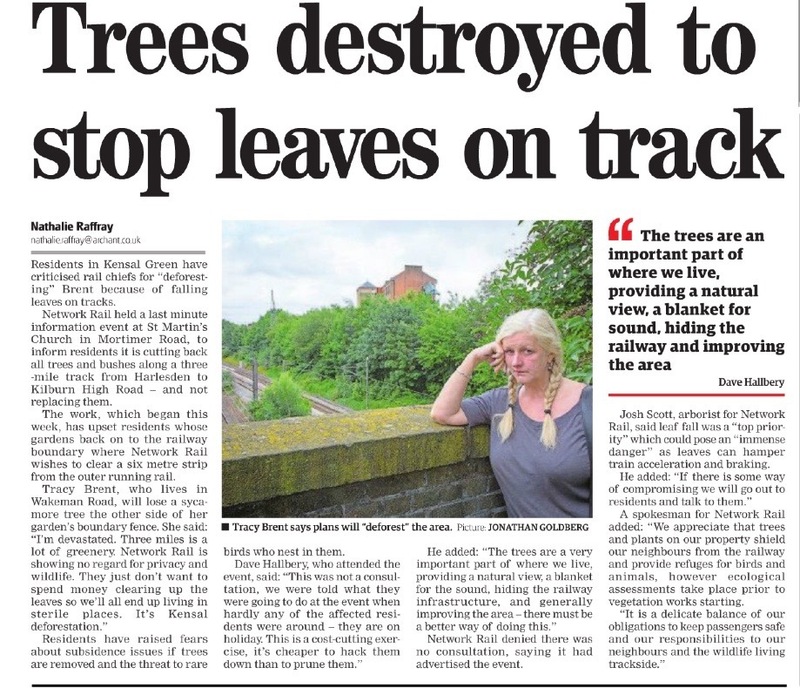 The trees are a very important part of where we live, providing a natural view, a blanket for the sound, hiding the railway infrastructure, and generally improving the area - there must be a better way of doing this. Just imagine if The Royal Borough of Kensington & Chelsea decided that clearing up all the leaves from the iconic London Planes was proving a bit too expensive, and held a meeting at K&C's Town Hall with 10 day's notice proposing removing all the trees along Ladbroke Grove, Notting Hill, Holland Park, Hyde Park, the Albert Hall and around High Street Kensington. Do you think anyone would complain? And would they be able to do it? Have a read and see what you think. Comments welcome.